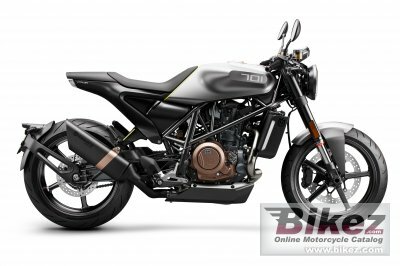 2018 Husqvarna Concept Vitpilen 701. Picture credits - Husqvarna. Submit more pictures. Largely inspired by the brand�s Swedish heritage, the VITPILEN 701 is a modern motorcycle that features some of the most state-of-the-art technology available. From the trellis frame to the powerful single cylinder motor or the standard WP suspension and Brembo brakes, this machine is bristling with premium components. Comments: Ride-by-wire throttle. Traction control. Ask questions Join the 18 Husqvarna Concept Vitpilen 701 discussion group or the general Husqvarna discussion group. Bikez has discussion forums for every bike. View comments, questions and answers at the 2018 Husqvarna Concept Vitpilen 701 discussion group. You can sign up for e-mail notifications when other riders answer you. If you have extensive experience with the MC, please send us a review. If you consider buying this bike, you should view the list of related motorbikes Look at photos. Compare technical specs. And check out the rating of the bike's engine performance, reliability, repair costs, etc. You can compare the rating with other bikes.